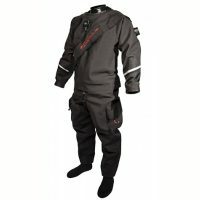 Drysuits for sale. 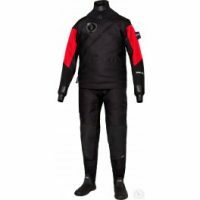 We are the largest retailer of scuba diving drysuits in Canada and one of the largest stocking drysuit dealers ranking yearly in the top 20 in North America Dealers with several major brands because we offer the best selection, knowledge and customer service, with the best custom fit made to measure drysuits anywhere. We sell the best brands at the most competitive prices anywhere in Canada or the US, offering suits from DUI Drysuits, Santi Drysuits, Bare Drysuits, Fourth Element, HOG, Dive Rite, Hollis and the other leading brands. We offer package discounts on all drysuit systems we sell, so we can offer you the best price on the drysuit or on the package price where we’ll not only give you the suit, but also the underwear, socks, fins and often times eve more accessories so you simply need to jump into a pool session and ignite your passion to dive dry. 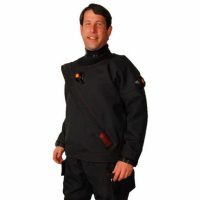 We even offer in house drysuit repairs for seal replacement, add-on’s and more. If we can’t do it we send it to one of our very capable repair centres. In store financing is even available for the purchase of your new drysuit. Come see us and lets “suit you up”.